​Uncertainties associated with regional construction practices; the input loading and the dynamic response of structures impose the acceptance of a “tolerable” probability of structural collapse. This talk summarizes efforts to quantify with sufficient confidence the earthquake-induced collapse risk of steel frame buildings. State-of-the-art nonlinear deterioration models validated with carefully designed laboratory experiments are presented and utilized for this purpose. Implications associated with the building-specific loss assessment are also presented. Emphasis is placed in cases that steel frame buildings do not explicitly collapse but need to be demolished due to large residual deformations. The findings facilitate the decision-making process for stakeholders, engineers, and (re-) insurers to take proper pre-disaster measures to reduce the effects of seismic hazard for the best interest of our society. Prof. Lignos joined EPFL as a tenured Associate Professor in 2016 from McGill University. He holds a diploma from NTUA (2003), MSc (2004), PhD (2008), post-doc (2009) from Stanford University and a post-doc from Kyoto University (2010). His research involves integrated computational modeling and large-scale experimentation for the fundamental understanding and simulating structural collapse of steel structures under extreme loading as well as the development of metrics and technologies that promote resilient-based design. Prof. Lignos teaches courses in seismic design, nonlinear behavior and analysis of steel structures. He is the recipient of the 2013 ASCE State-of-the-Art in Civil Engineering Award and the 2014 Christophe Pierre Award for Research Excellence - Early Career. Professor Lignos acts as an Associate Editor for Metal Structures and Seismic Effects for the ASCE Journal of Structural Engineering. He serves as an acting member in various national and international technical committees for the further development of the seismic design provisions and the nonlinear modeling guidelines for steel structures in North America, Asia and Europe. ​The presentation will discuss integrated numerical and experimental research carried out by the speaker and collaborators on different earthquake-resilient low-damage steel frames. Examples include steel frames with dissipative braces or post-tensioned beam-column and column-base joints. The talk will focus on the development of appropriate nonlinear models in OpenSees and their exploitation to design level seismic assessment, collapse resistance quantification, and economic seismic loss estimation. Particular emphasis will be given to the development, implementation, and calibration of practical hysteretic models, damage initiation/evolution laws, and fracture criteria for realistic numerical simulations. Gaps in knowledge and research needs in nonlinear model development for this particular class of steel structures will be highlighted. ​Full Professor (Chair in Structures and Structural Mechanics) at the University of Southampton. Previously, he held appointments at the University of Warwick (Assistant and Associate Professor; 2011-2015), University of Oxford (Lecturer; 2010), and Lehigh University (Post-Doctoral Researcher; 2007-2009). He holds a Diploma in Civil Engineering (2002), MSc in Structural Engineering (2004), and PhD in Seismic Design of Steel Structures (2007) from the University of Patras. 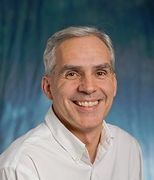 Author or co-author of 32 papers in journals, 70 papers in conferences, and 4 chapters in books; member of national/international working groups (BSCA steel connections, IABSE WG7); member of the editorial boards of the Steel and Composite Structures and the Earthquakes and Structures Journals; consultant on the conception, design, and implementation of dissipative braces for tall steel buildings; and inventor of a demountable shear connector for precast steel-concrete composite bridges. ​This lecture will provide an overview of modelling structural response to fire, providing insights into the peculiarities of structural response to fire with a discussion of the common pitfalls in modelling it. The most onerous and still unresolved computational challenges that need the attention of the research community will be discussed next in the context of current trends in structures in fire research. The audience will also be provided with an update on the development work on OpenSees aimed at providing an integrated computational platform for simulation of structural response to realistic fires. This development will enable students, researchers and practitioners easy access to a user-friendly tool to carry out simple to moderately complex simulations of structural frames in fire. ​Asif Usmani has been Professor and Head of the Department of Buildings Services Engineering at Hong Kong Polytechnic University since August 2016. Before joining PolyU he was Professor of Structural Engineering at Brunel University London and at University of Edinburgh, Scotland, UK. The key theme of his research has been the development and application of computational methods for solving engineering problems, such as modelling of flow, heat transfer and solidification of castings in his early career to the simulation of the collapse of tall buildings in large fires more recently. His current work is focused on developing an integrated computational environment for simulation of structures in fire on the OpenSees platform. ​Research on the collapse mechanism of tall and super-tall buildings has become a critical issue in structural engineering. A high performance shear wall model (NLDKGQ) and a matrix solver (CuSP) were proposed, and successfully applied to conduct collapse simulation using OpenSees with the implicit method. However, the implicit method encountered numerical difficulties in convergence. Based on the leap-frog method and central difference method, an explicit method is herein proposed and integrated in OpenSees. Furthermore, a modal damping model is also integrated to address the stability problem of explicit method. The stability and reliability of the proposed method are validated, which provides an effective tool for further investigation on the collapse mechanism of large structures. ​Prof. Xinzheng Lu is a full Professor and the Head of the Institute of Disaster Prevention and Mitigation of Tsinghua University. His major research interests cover disaster prevention/mitigation and numerical simulation of civil engineering. He participated in the emergency earthquake reconnaissance after Wenchuan (2008), Yushu (2010), Lushan (2013), Ludian (2014) and Nepal earthquake (2015). Prof. Lu has published more than 200 papers in refereed journals, and 12 books. His publications have received more than 10700 citations, including more than 860 citations in Web of Science, and more than 1800 citations in Scopus. One of his publications was listed by Essential Science Indicators as “Highly Cited Papers”. Fourteen of his publications were listed as “Top 25 hottest articles” of Elsevier or “Most viewed papers” of ASCE. This presentation covers several developments and applications related to analytical and hybrid simulations using OpenSees. The developments for efficient analytical simulations include a progressive collapse simulation implementation, use of adaptive time integration and nonlinear solution algorithms to overcome convergence challenges and development of a novel Lyapunov-based nonlinear solution algorithm with superior convergence features over regular Newton-Raphson and its variants. Applications of these developments on several buildings and bridges are presented. Second part of the presentation include hybrid simulations conducted on a broad range of structures, including bridges, substation electrical equipment, energy efficient structural insulated panels and curtain wall systems. Several developments, related to reduction of computation time and increase of control accuracy, are also discussed. Mosalam obtained his BS and MS from Cairo University and his PhD from Cornell University in Structural Engineering. In 1997, he joined the Department of CEE, UC-Berkeley where he is currently the Taisei Professor of Civil Engineering and the PEER Director. He conducts research on the performance and health monitoring of structures. He is active in areas of assessment and rehabilitation of essential facilities, e.g. bridges and electrical substations, and in research related to building energy efficiency and sustainability. His research covers large-scale computation and experimentation including hybrid simulation. He is the recipient of 2006 ASCE Huber civil engineering research prize, 2013 UC-Berkeley chancellor award for public services, and 2015 EERI outstanding paper award in Earthquake Spectra. He was a visiting professor at Kyoto University, Japan, METU, Turkey, and NTU, Singapore. He is a High-end Expert in Tongji University and is a core-PI for “Internet of Things & Societal Cyber Physical System Lab,” a part of the Tsinghua-Berkeley Shenzhen Institute. Despite the breadth of the finite element codes that are currently available for the seismic analysis and assessment of structures, the complexity of the structural system is in many cases such that the associated epistemic uncertainty is considerable, particularly in cases that the nonlinear response and performance is of interest. This presentation aims to demonstrate the capabilities of two recently developed knowledge-base expert systems, namely Build-X and Bridge Wizard, that are tailored to improve the reliable use of modern software for seismic design and assessment of buildings and bridges, respectively. The above KBE systems feature a user-friendly visual interface that supports the structural engineer in developing the spatial finite element model by providing expert suggestions as to critical modelling decisions and automations that increase the reliability of the analysis, while at the same time accelerate its pre- and post-processing. Build-X and Bridge Wizard share the same architecture and are linked to OpenSees, a widely used freeware for seismic analysis of structures. Opensees is utilized to perform the core finite element analysis, while Matlab scripts are called in the background to support refined soil-structure interaction modelling. Both programs have been made available to the earthquake engineering community and can be found at www.asextos.net. Anastasios Sextos is a Reader (Associate Professor) of Earthquake Engineering at the University of Bristol, UK which he joined in 2014 after serving for 12 years at Aristotle University of Thessaloniki. 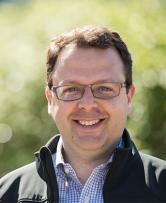 He is currently the founding Director of the new MSc Programme in Earthquake Engineering and Infrastructure Resilience at the University of Bristol, UK and the Business Lead of the UK Collaboratorium for Research on Infrastructure and Cities SoFSI facility in Bristol. His research interests are in the areas of seismic design and assessment of bridges, selection of earthquake ground motion scenarios and multiple-support excitation of extended structures, resilience of roadway and lifeline networks to natural hazards, multi-resolution distributed analytical simulations & hybrid testing, dynamic soil-structure interaction, system identification and structural health monitoring and resilience of school communities in developing countries. He is a member of the Board of Directors of the Organization for Earthquake Planning in Greece, the Chairman of the Hellenic Society of Earthquake Engineering, the co-Chair of the European Association for Earthquake Engineering Work Group 11 for the design of bridges, and a member of the ASCE “Performance-based design” Technical Committee in USA. His portfolio includes 35 papers in peer-reviewed scientific journals, 5 books, 1 edited book, 14 book chapters and 70 conference papers. He has been a Research Visitor at University California Berkeley (2007), a Fulbright Research Scholar at the University of Illinois at Urbana-Champaign (2012) and a High-End Expert in China (2016-17). 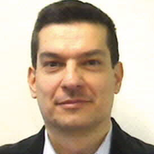 Dimitrios holds a Diploma in Civil Engineering from NTU Athens (1997), and an MSc and PhD from Stanford University (1998, 2002). He is now Assistant Professor at NTU Athens specializing in integrating structural modeling, computational techniques, probabilistic concepts and experimental results into a coherent framework for the performance evaluation of structures. 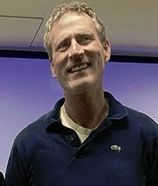 His work in Incremental Dynamic Analysis has received wide attention, while he has also co-authored seismic assessment guidelines for buildings and has been a primary contributor to the seismic loss assessment methodology and the open-source risk-modeler’s toolkit adopted by the Global Earthquake Model Foundation. An efficient probabilistic framework is presented for the development of physics and simulation-based parametrized tsunami fragility functions for building and bridge structures. The proposed framework is general and makes use of nonlinear finite element structural models that capture structural member failures in shear and the first-order second-moment (FOSM) reliability method. The application of the framework is illustrated with the development of parametrized fragility functions for an example reinforced concrete moment frame building designed to ASCE 7-05 and ACI 318-08 codes. In this application example, uncertainty in materials and building geometry are considered explicitly. Results indicate that explicit consideration of structural member failures is of paramount importance as the fragility functions based on global failure criteria that do not account for member failures tend to overpredict damage state capacities. Among the several sources of uncertainty considered, breakaway openings in the building are the dominant contributor to the uncertainty in the structural capacity. The estimation efficiency of several scalar and vector-valued intensity measures is evaluated using the logistic regression method. The intensity measures considered consist of inundation depth, flow velocity, specific momentum flux, kinematic moment of specific momentum flux and their interactions. The predictive power of vector-valued intensity measures is found to be higher than that of scalar intensity measures. Among the scalar intensity measures analyzed, those that combine information of inundation depth and flow velocity are identified to be the most efficient predictors of structural damage, and therefore are considered to be the preferred measures to characterize the intensity of tsunami hazards for practical applications. Dr. Barbosa is an Assistant Professor and Endowed Kearney Faculty Scholar at Oregon State University (OSU) where he joined after completion of his Ph.D. in 2011. Before pursuing his Ph.D. at UC San Diego, he worked for seven years as a structural designer in Lisbon, Portugal. At OSU, Dr. Barbosa's research focuses on the development of experimental testing programs and numerical tools and techniques geared towards improving structural performance and resilience of the built environment to multiple hazards. Studied within the research group are earthquakes, fire, and tsunami hazards. Structural materials addressed are reinforced concrete, timber, and steel. Dr. Barbosa is a researcher of the NIST-funded Center of Excellence for Community Resilience. He is also actively participating in several ASCE, ACI, and EERI technical committees related to reinforced concrete and timber structures. He was selected to be the ASCE SEI Wood Research Committee chair for the coming three years. He was also recently announced as the 2017 Daily Journal of Commerce Newsmaker, in Oregon, for his research on Cross-Laminated Timber. In soil-pile interaction problems the pile response is best characterized using beam column type models to capture nonlinear deformation and force distributions. However, soil response is more effectively described using solid continuum based elements. The beam and solid combination poses a challenge for advanced modelling when frictional contact mechanisms and potential separation are to be considered. This research explores different ways to enhance soil-pile interaction modeling capabilities through the direct integration of beam-column and solid type models. The approaches are based on 3D frictional node-to-surface contact. Contrary to traditional contact implementations, the contact surface is defined using a semi-analytical representation of the three-dimensional surface of a discrete 3D-beam finite element. This allows for geotechnical models to simulate nonlinear pile behavior through the characterization of complex cross sectional properties such as reinforcement or defects by means of an advanced beam element with fiber cross section. Moreover, it enables the incorporation of size effects due to frictional resistance against rotation, or the effect of closely packed arrays of piles. As an application example a 3D finite element analysis of a bridge abutment and foundation system subjected to the kinematic demands of lateral spreading is considered. The selected bridge system corresponds to the Mataquito river bridge in Chile. The 2010 Maule earthquake caused extensive lateral spreading on both river banks at this site. Observations suggest that 3D effects may have contributed to reducing the structural demands placed on the abutment and foundations during lateral spreading. 3D models representing the existing site geometry and a plane strain approximation of the approach embankment are developed and used to estimate bending demands in the shaft foundations supporting the bridge abutment. Pedro Arduino is a professor at the University of Washington Department of Civil & Environmental Engineering. His primary research interests are in computational geomechanics with emphasis in constitutive modeling of soils, finite element analysis, and hazard analysis. Much of his current research is in the area of soil-structure interaction, performance-based earthquake engineering, and landslide and debris flow simulation. He has conducted research for the National Science Foundation, the Pacific Earthquake Engineering Research (PEER) Center, and the Washington State Department of Transportation (WSDOT). He is a member of the ASCE EM Inelasticity and ER Earth and Retaining Structures committees and served on the editorial board of the ASCE Journal of Geotechnical and Geo-environmental Engineering. Prof. Arduino is a member of GEER and was part of the reconnaissance team that visited Chile after the 2010 Maule, Chile, and 2011 Great Japan earthquakes. Arduino has also served as a consultant to private firms and government agencies in the U.S. and abroad. Performance based engineering for Earthquake, Wind and Tsunami events. Frank obtained his BA and Msc from Trinity College Dublin and his Ph.D. from the University of California, Berkeley. Since graduation he has worked as a project specialist at UC Berkeley. He is the lead software developer and chief architect for both OpenSees and the recently funded NHERI-SimCenter project, both of which are headquartered at UC Berkeley. Scientific Toolkit for Opensees (STKO) is a groundbreaking program designed to dramatically increase scientific research findings. Numerical simulations of complex models under generic dynamic loading produce a large amount of raw data that need to be efficiently organized and processed. Large models are developed with several element types and material models, leading to heterogeneous results whose layout in the output database needs to be carefully chosen. Moreover, researchers need to investigate the structural performance by considering several Engineering Demand Parameters (EDP) that are impossible or very difficult to calculate with commercial codes or without a powerful scientific visualization tool. This presentation unveils a cutting-edge complex data visualization tool, called STKO (www.asedeasoft.net/STKO) which is a fully customizable pre and post processor for Opensees. Focus is placed on the motivations that led to the development of this toolkit, and on the main design and implementation details. The adopted HDF5 database library , the structure of the proposed file format, the Python-based scripting interface  for manipulation and customization of results, and the implementation of the new recorder class in OpenSees are presented. Numerical applications are shown, including examples of soil-structure interactions, visualization of beam and shell data defined at gauss and at sub-integration points (fibers), management of the output database via user-defined scripts, extrapolation, and manipulation of data for production of new custom results. Massimo Petracca is a Post-Doc at the Department of Engineering and Geology of the University "G.d'Annunzio" of Chieti-Pescara, and software developer at ASDEASoft. He holds a dual-degree PhD in civil engineering from the University "G.d'Annunzio" of Chieti-Pescara (Italy) and from the Universitat Politècnica de Catalunya - BarcelonaTech (Spain). His research focuses on constitutive modeling of composite materials (mainly masonry) via micro-modeling and multi-scale homogenization methods for both continuum and shell structures. Francesca Candeloro is a structural engineer at ASDEA S.r.l., and software developer at ASDEASoft. She holds a Diploma in Civil Engineering from the University of L'Aquila (Italy). Her main interests are historic buildings rehabilitation and dynamic analysis of structures. Guido Camata is an Engineering Professor at the University of Chieti-Pescara and Adjunct Professor at the University of Colorado, Boulder, USA. Dr. Camata obtained a Master degree in Civil engineering from the University of Bologna, Italy and PhD from the University of Colorado at Boulder. Dr. Camata has long experience in the implementation of civil engineering projects covering a wide range of sectors: public and private buildings, infrastructure, civil and structural engineering and risk assessment. ASDEASoft is a software development company with extended experience in the field of numerical simulation for engineering. Its main aim is to provide innovative software solutions for numerical simulation and data visualization. The presentation will address new developments introduced in the macro-element originally proposed by Caliò et al. and implemented in the OpenSees code, to perform pushover analysis of masonry buildings. In particular the innovations introduced in the new macro-element are: the possibility to perform pushover analysis by taking into account of the collapse of several masonry structural walls, as it is provided in the Technical Italian Building Code, with the consequent opportunity to follows the progressive damage in the building during the push-over analysis; the possibility to model structural systems composed by masonry walls and beams; the opportunity to introduce structural reinforcements in the buildings as ties and welded or FRP mesh. Some numerical applications has been performed, and the results obtained by using OpenSees code have been compared with the ones provided by the software C.D.S. Win. This software use the beam model for the masonry walls, named SAM method, that is actually considered the most accurate modeling technique of masonry buildings in the literature, and also is the only one present in the Technical Italian Building Code. Brisid Isufi, Ildi Cismasiu, António M. P. Ramos, Válter J. G. Lúcio.